Former Trump comms director Hicks heads to Fox. Plus is it the end of the Papa john's ordeal? And Kanye will visit the White House. Again. 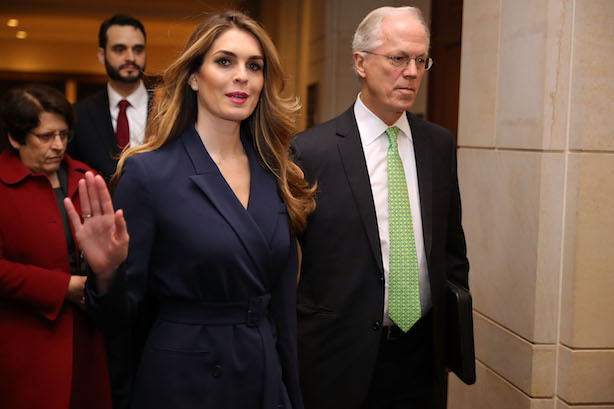 Former Trump White House Communications Director Hope Hicks has been hired as the chief communications officer of Fox, (Wall Street Journal) the new company being formed from the assets left over from the deal between Walt Disney Corp and 21st Century Fox Inc. (Wall Street Journal). She resigned from the White House earlier this year and prior to leaving told the House Intelligence Committee investigating possible Trump/Russian collusion that she told "white lies" on behalf of the president but not about the probe into alleged Russian collusion. Is it the beginning of the end of the Papa John’s ordeal? The Wall Street Journal is reporting that activist hedge fund Trian Fund Management LP is considering a takeover of the pizza company. The Journal says the fund is one of several potential buyers lining up to possibly purchase the pizza company. Kanye plans to meet Trump this Thursday. The New York Times is reporting that Kanye West will visit Trump and his son-in-law Jared Kushner in the White House Thursday. The Times says West will meet Kushner then have lunch with Trump. West first met with Trump in 2016 (New York Times) and has caught flack for his support of the president. But apparently, Taylor Swift doesn’t mind. And by deciding to comment on politics recently drove up voter registration numbers across the country (Huffington Post). Swift was not known for her political activism. But on Instagram Sunday she posted her support for Democrat Phil Bredesen over Republican Rep. Marsha Blackburn in a race for one of Tennessee’s U.S. Senate seats.